Few weeks ago, I talked briefly on what to expect from the coming Xiaomi Mi Max 3 and some rumoured specs. Now a new render image has just surfaced online showing allegedly what's suppose to be the back view of the Mi Max 3. 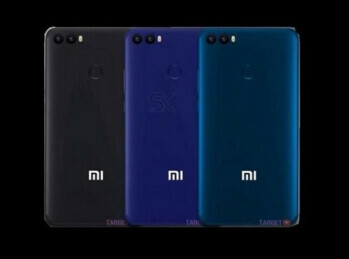 Going by the render image, the device will spot a dual rear camera setup as well as a rear mounted fingerprint scanner positioned just below the dual camera. The image also shows three different colours which are black and 2 shades of blue.